Are you searching for a new blender that actually gets the job done and won’t break down after just a few uses? Finding the right blender for your needs can indeed be somewhat difficult. However, you might be interested in taking a look at the Vitamix C Series 6500, a great Vitamix blender which is part of the C series. It’s pretty big, it’s powerful, and it’s functional too. It looks impressive and is designed to fit under counter tops. It has 3 pre-programmed settings for smoothies, soups and frozen desserts. There are manual speed settings and a pulse function. The controls are self-explanatory and easy to use. The stainless steal cutting blades are very high quality and so is the 2.2 horse power motor. Overall a somewhat pricey, but powerful blender to make smoothies, soups and frozen desserts! 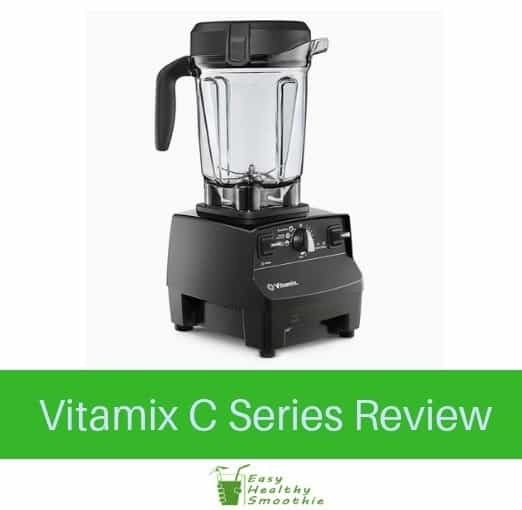 The Vitamix C Series 6500 is a great option to go with if you need a fairly basic blender with enough capacity to prepare smoothies or make items for multiple people at once. It is a fairly large blender, as it has a 64-oz. container, which is large enough to make smoothies for at least 3 or 4 people at once. Yeah, it’s not something you want to get if you just want to make a small breakfast smoothie. Besides that, while it does have some pretty good features, the Vitamix C Series 6500 is fairly basic in terms of its functions. It has the ability to make smoothies, frozen desserts, and hot soups too. So, if you like making any of these things, this blender might be right for you. With that being said, you do really need to like your smoothies and will be using it on a regular basis, because this blender is fairly pricey for what it is. When you purchase the Vitamix C Series 6500, you get the 2.2-horsepower blender, which is pretty impressive. This blender is quite large and it’s pretty durable, as it should be for the price it costs. Besides the blender base and the 64-oz. container, there is not much included here. Of course, it does come with a power cord, plus a decent warranty too, but nothing else. On a side note, we really like the stainless steel cutting blades, as they are of a very high quality. For one, the Vitamix C Series 6500 features laser-cut stainless steel cutting and hammermill blades. They measure 4 inches in diameter and they help provide for some very smooth, consistent, and efficient blending no matter what the case. In terms of what this blender can make, you are limited to frozen desserts, hot soups, and smoothies. In other words, it’s actually quite impressive, because this blender can do nearly everything except for powdering dry ingredients. When it comes to settings, the Vitamix C Series 6500 has 3 pre-programmed settings, which once again are for the 3 types of foods listed above. You can also choose between various manual blending speeds, which is quite convenient, not to mention that it has a pulse function as well. As you can see, although this blender does not have too many settings, it can certainly get the job done. This is also thanks to its 2.2 HP motor, which is powerful enough to blast through pretty much anything out there. We also like how the Vitamix C Series 6500 comes with a fairly large 64-oz. container, as it is more than large enough to make big batches of smoothies at once. No, it’s not something you get to make one little smoothie once per week, but if you have a family that all love hot soups and smoothies, then this thing is a good option. Yes, it is a bit big, bulky, and heavy, so you do need a fair amount of storage space, but other than that, this thing is pretty neat. At the end of it all, for the money you are spending on the Vitamix C Series 6500, it is a pretty good investment to go with. Besides being a bit heavy and bulky, and not being able to grind dry goods into powder, it can do pretty much everything else you would need any blender to do. It has a good motor, sharp blades, it’s durable, and has a bunch of useful settings too.